An outdoor cabana can transform your backyard into your own slice of paradise. 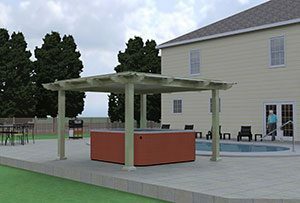 This structure is ideal for creating a cozy, shaded spot for your spa, or establishing a space for the outdoor kitchen or bar that you’ve always dreamed about having installed. The question is – how can you be sure that your outdoor cabana will be built to last? The answer is simple if you live in Bear or Middletown, Delaware because you can leave installation in the hands of SRA Home Products. 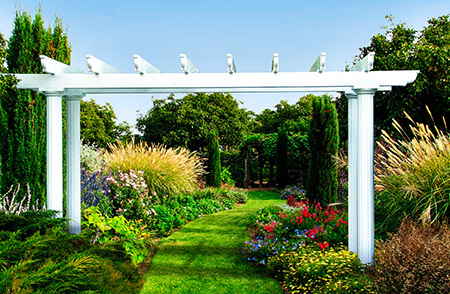 Since 1988, our team has constructed countless gorgeous outdoor living structures and performed other home improvement services for our neighbors. 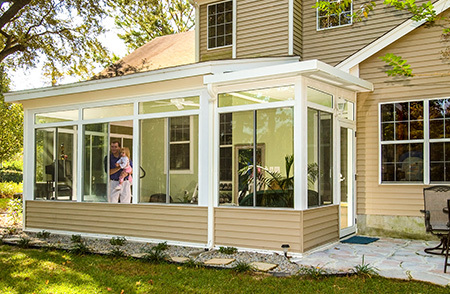 Plus, when you trust SRA Home Products’ installation team to complete the outdoor cabana project at your home in Bear or Middletown, DE, you can feel confident knowing that our installers will work with you every step of the way. By completing our work efficiently and keeping the lines of communication open, we make the process as hassle-free as possible. If you’re ready to learn more about the outdoor cabana options that SRA Home Products offers, contact us today. Our knowledgeable staff will be happy to answer all your questions and explain all of the ways a new cabana can improve your backyard in Middletown or Bear, DE.